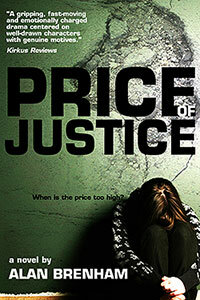 "A gripping psychological, edge-of-your-seat thriller that goes beyond murder and mayhem." "One of the year's best thrillers." 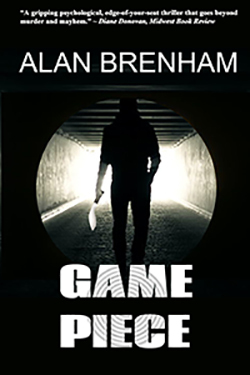 Alan's novel Game Piece is a multi-point-of-view adult mystery told from the points of view of Barry Marshall, his wife, Adrian (a boy who is integral to the investigation), and the killer. Detective Barry Marshall is about to lose everything he holds dear—his wife, his career, and his reputation. 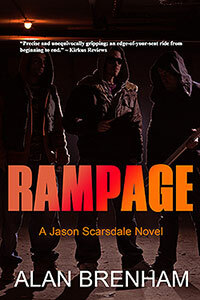 A mysterious phone call leading him to the dead bodies of a young couple kicks off the ultimate endgame. Unbeknownst to Marshall, the killer had dated his wife years ago. 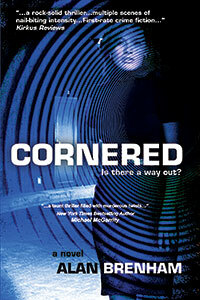 Seeing Marshall with her, the killer is pushed over the edge. He wants to punish Marshall for stealing his beloved by playing a cat-and-mouse game of murder. When the body count rises, Marshall is looking at the possibility of facing his worst nightmare. Site design © & maintenance by xuni.com. All content © 2017-2019, Alan Brenham.